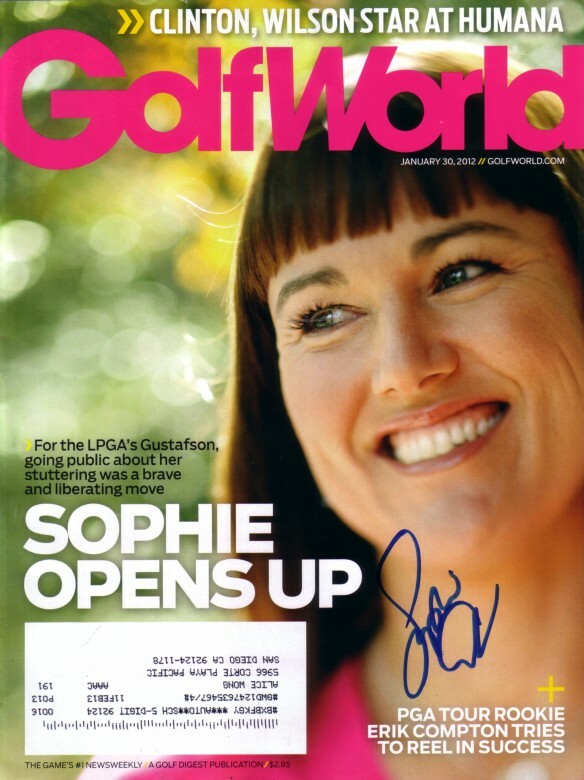 2012 Golf World magazine autographed in blue marker by LPGA star Sophie Gustafson. 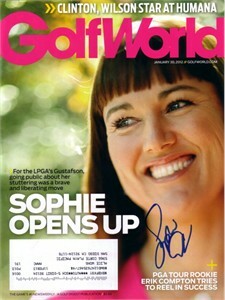 Has subscription address and very minor wear. With certificate of authenticity from AutographsForSale.com. ONLY 2 AVAILABLE FOR SALE.